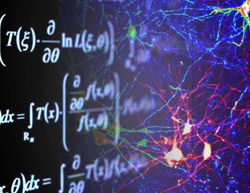 In this lecture series, outstanding researchers will present central topics in computational and theoretical neuroscience. All speakers will give both a research talk and a general introduction to a computational neuroscience topic. Please access the FMI at its Porte at Maulbeerstrasse 66. At the Porte, visitors should state their names and affiliations. They will check the names and ask the visitor to write their last names on a sticker and let the visitor through. Please take the elevators to the seminar room on the 5th floor. In order to avoid a last minute crunch and delays to the seminar, it is strongly advised to show up at the Porte about 10 minutes before the beginning of the seminar.